P.A.N.D.A. People Against The NDAA | A Republic...If we can keep it. Your backyard is not a battlefield. Join the movement now to stop the NDAA and the laws of war in your city and county. Every dollar is used to defend civil liberties, and stop the laws of war, in cities across America. 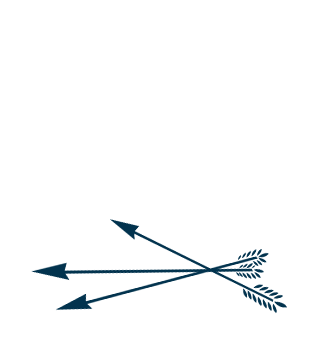 Please consider making a donation of $5, $10, or $20 to restoring liberty. 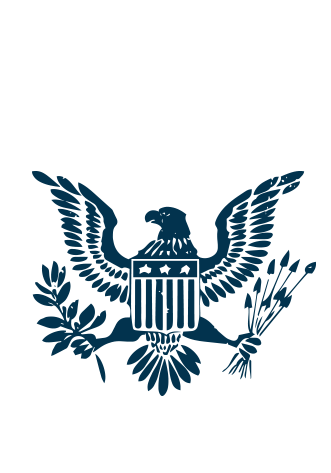 Learn how the 2012 National Defense Authorization Act threatens your civil rights, answer common questions, and learn how to take action to stop it in your backyard. Inform the public of the dangers the NDAA poses, and how it threatens the very fabric of the U.S Constitution. 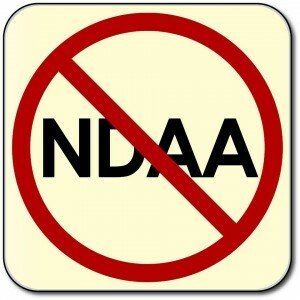 Bring basic liberties of due process, trial by jury and right to a lawyer back into U.S. law by blocking the 2012 NDAA. When Americans are watching what happens in Washington, bureaucrats can’t slip something like the 2012 NDAA under the rug. 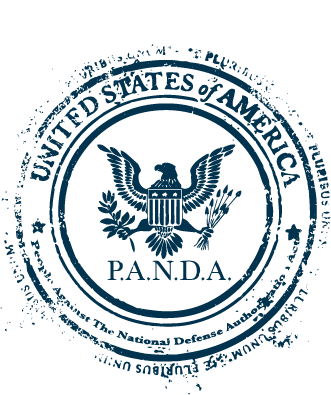 The goal of PANDA is to bring this NDAA to national attention so our greatest minds and top leadership of all ages, particularly of future generations, can decide if this is the country that represents the Bill of Rights or represents the evisceration of those rights under the cover of the “War on Terror”. On Tuesday September 17th 2013, the Mayor and City Council of Coos Bay, Oregon unanimously voted down a resolution not only condemning, but committing city officials to prevent, the possibility of indefinite military detention without trial (on mere suspicion of terrorist affiliations) opened up for Coos Bay residents by the federal government’s passage of the 2012 National Defense Authorization Act. Will Congress Fail To Remove The Indefinite Detention Provisions of the NDAA Again in 2018? In the past several days, The Guardian and The Intercept have published explosive reports detailing the alleged detention, torture, and rights violations at Homan Square by the Chicago Police Department. I’ll never forget the pain etched in their faces. I’ll never forget the screams, the haunting pleas of mothers at faceless soldiers.